Carl Stefan Eling Persson was born on 4 October 1947, in Stockholm, Sweden, and is a Swedish business magnate, best known as the chairmain and former CEO of fashion company Hennes & Mauritz (H&M). So just how rich is Stefan Persson? According to Forbes magazine, in 2015 Persson’s net worth is $23.5 billion, making him the richest person in Sweden and the 28th richest person in the world. Persson has accumulated most of his net worth through Hennes & Mauritz (H&M), a fashion clothing company started by his father Erling Persson in 1947 when he founded the first Hennes store. In 1965 the company bought a clothing retainer Mauritz. This eventually resulted in the creation of Hennes & Mauritz that was opened in 1974. In 1982, Stefan Persson took over the company from Erling Persson and became the chief executive of H&M until 1998, when his son Karl-Johan Persson replaced him. The H&M has generally been a huge success, with stock 40% up since its opening allowing for inflation. Today, H&M employs approximately 76,000 people in 2,200 working places. The company now has stores in 37 countries and generates roughly $16 billion in sales per annum. Stefan Persson is known to run the company in a very frugal and meticulous manner, e.g. only several executives are priviledged to have company mobile phones. However, in this way, Stefan Persson was able to convert H&M into a worldwide multibillion company. Despite its success, the company has suffered somewhat from negative publicity as well, especially when poor working conditions in one of the factories in Cambodia were revealed. The complaints included poor ventilation system, exposure to chemical fumes, and malnutrition of the workers among other problems, causing public outrage. Unfortunately, since its establishment, the company had undergone more controversies. H&M is infamously known for using artists’ work on their products without giving them proper credit, which technically amounts to “art theft”. Yet, despite the negative publicity, the company remains financially profitable and popular among its customers. In addition to owning H&M, Stefan Persson has stakes in Hexagon AB, a Swedish technology company. Persson actively participates in charity and is one of the founders of the Mentor Foundation, a non-government organization that helps prevent substance abuse and drug use among young people. Persson also supports Djurgårdens IF, an association football club in Stockholm, and co-funds the foundation for the club. The multibillionaire also apparently enjoys buying property. In 2009, Persson acquired an entire 21-cottage village in Linkenholt, Hampshire UK with 2,000 acres around it for $40 million. Additionally, Stefan Persson owns private land in Wiltshire with 8,500 acres surrounding it that he bought for $15 million, where he hosts pheasant and partridge hunts. Persson also purchased an entire block in Parisnear the Champs Elysee for approximately $219 million. Additionally he owns various other properties in London, Stockholm and Rome. 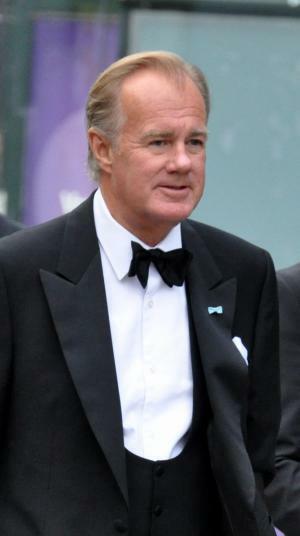 In his personal life, Stefan Persson currently lives in Stockholm, Sweden, with his wife Carolyn Denise Persson. The couple have three children, all of whom are billionaires; Karl-Johan is now the CEO of H & M.